“Remember that the happiest people are not those getting more, but those giving more.” -H. Jackson Brown, Jr. 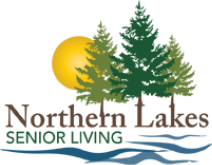 If you or somebody you know is looking to give back through volunteer work, please consider volunteering at Northern Lakes Senior Living. We have many opportunities for volunteers, and we welcome those of all ages, interests and experience levels. Complete the short volunteer profile below to get started.